Free Shipping Included! Growtent Garden Grow Tent for Indoor Plant Growing 32''x32''63'' 600D with Removable Floor Tray… by Growtent Garden at Aquaponics In Paradise. Hurry! Limited time offer. Offer valid only while supplies last. 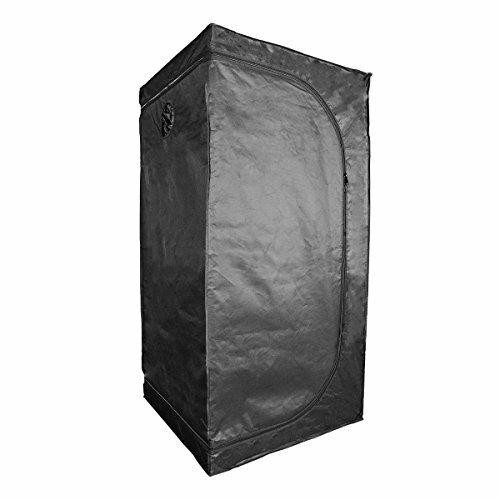 PACKAGE INCLUDES: 1 -Growtent Garden 36"x36"x72" Grow Tent ,1 - Removable Mylar Floor Tray, 6 Filter Straps,1 - Instructional Pamphlet , 100% Reflective Tear Proof Mylar. HIGH QUALITY: heavy-duty zippers and double stitching for light protection ensure durability and long-lasting use. Heavy duty all metal poles which are rated to handle at least 110 lbs, ensures security and stability. DURABILITY:Our grow tent can be used to control the climate and lighting condition accurately and independently, protect plants from climate changes and contamination safely and easily all year round. If you have any questions about this product by Growtent Garden, contact us by completing and submitting the form below. If you are looking for a specif part number, please include it with your message.